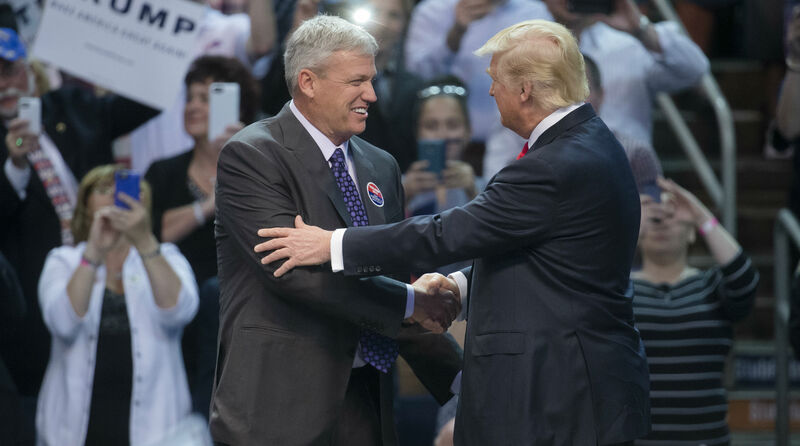 Having once introduced Donald Trump at a campaign rally in Buffalo, former Bills head coach Rex Ryan "never signed up" for the President's comments attacking NFL players. One of Donald’s Trump most prominent NFL supporters offered his regrets on Sunday following the President’s comments on NFL players remarks kneeling during the national anthem. “I’m pissed off, I’ll be honest with you,” Rex Ryan said on ESPN’s Sunday NFL Countdown. “I supported Donald Trump. When he asked me to introduce him at a rally in Buffalo, I did that. But I am reading these comments and it is appalling to me. And I am sure it is appalling to almost any citizen in our country. It should be. I mean, calling our players S.O.Bs and that kind of stuff, that is not the men that I know. The men I know in the locker room, I am proud to be associated with them in the locker room.